Very good value for money. I always arrive there late in the evening and check out early in the morning. The whole procedure does not require anybody except yourself. I like it. I had a large studio apartment with all the mod cons and a very comfortable bed. Even though it is located outside of the center of Zurich, it isn't far and easily accessible by train or car. Very good value for money. Good clima, parking, ligting. Help with payment and reservation isues. Train goes nearby, but guest can only hear the macchine. No vibrations, and other noice. Garage is warm and well light-covered. If you come by vehicle, the best solution is to reserve garage parking spot. There seems not to be free space for parking around. The room was very clean and the bed was comfortable. Breakfast buffet had an average selection but the cook/waiter will make eggs for you. The room's kitchen has what an apartment needs to have, but your tea or coffee comes out of the microwave :/ There is a parking garage under the hotel, opened with the key-card. An elevator serves from the parking garage to the top floor. beautiful place. We really loved it. Comfortable bed, very quiet and clean. The location was fairly Central and reasonably priced. Room was cleaned every day. large spacious room with a fridge and kettle in it. A good size balcony. Very clean and light. A bit Close to the railway line but with the blinds closed at night you can hardly hear it. Aldi is just round the Corner if you Need provisions and apart from a couple of Office buildings the area is pretty quiet. Uster is a nice town. We checked in by machine and hardly saw the receptionist which is a Little strange if you are not used to this System but it worked fine. Room was good size, good facilities and comfortable. Lady Staff member who helped me on telephone when my card did not work on check in was very helpful. Excellent facilities in the room. Very comfortable room size for family. The on call service (check-in) was very helpful. 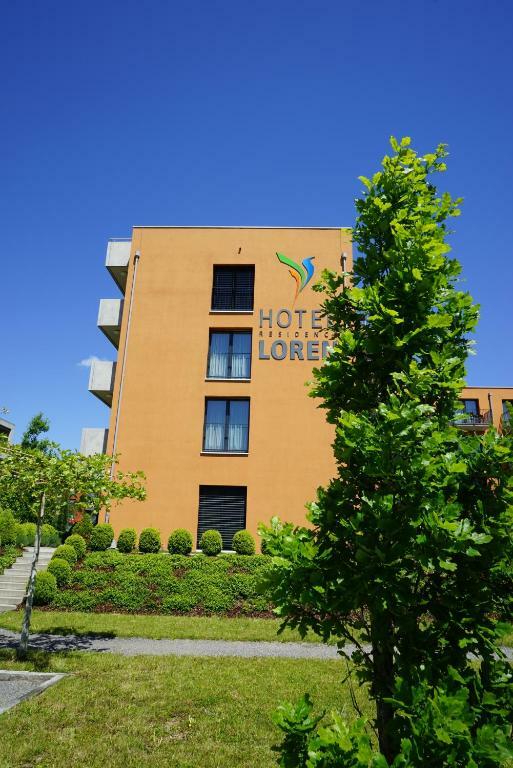 Hotel Residence Loren This rating is a reflection of how the property compares to the industry standard when it comes to price, facilities and services available. It's based on a self-evaluation by the property. Use this rating to help choose your stay! 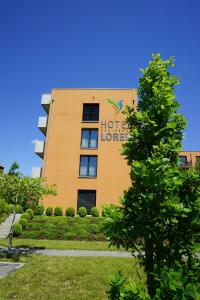 Hotel Residence Loren enjoys a convenient location in green surroundings, 12 mi from Zurich and Zurich Airport. It offers spacious accommodations with balconies and free WiFi. Each room in the Hotel Residence Loren is equipped with a kitchenette, which can be used at an additional cost. A grocery store can be found only 150 feet away. 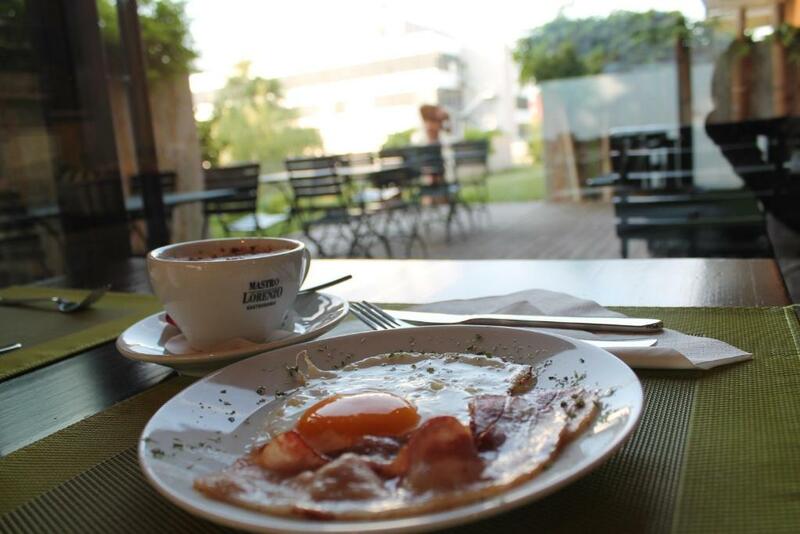 The center, offering restaurants and pubs, and the train station of Uster are only a 5-minute walk away. The center of Zurich can be reached within a 15-minute train ride, and Kloten Airport is a 50-minute train ride away. This property is also rated for the best value in Uster! Guests are getting more for their money when compared to other properties in this city. 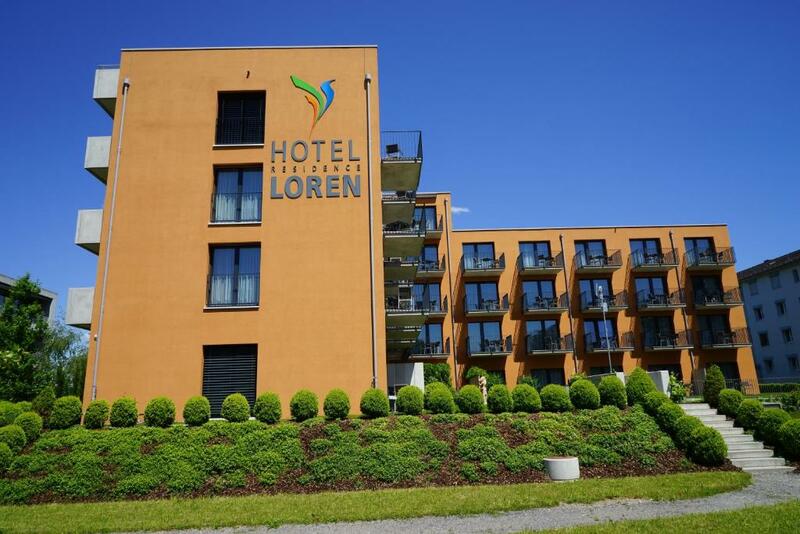 When would you like to stay at Hotel Residence Loren? Spacious rooms from the train lines featuring a balcony. Large suite with a bedroom and a living room. Elegant and spacious apartment with a rooftop terraces and full maid service. Please note that these rooms are facing the train lines. The noise of the train might cause light disturbances. Das Hotel Residence Loren ist ein modernes und komfortables Hotel mit einem hervorragenden Preis-Leistungs-Verhältnis. Es befindet sich in der nach einem städtebaulichen Konzept erstellten Gewerbe- und Wohnzone in Uster. Die Stadt Zürich sowie der Flughafen Zürich liegen nur 20 km entfernt und sind mit dem Auto und den öffentlichen Verkehrsmitteln sehr gut erreichbar. Das Hotel Residence Loren, mit seinen 45 hellen und schönen Zimmern, wird allen Anforderungen an eine zeitgemässe Hotelunterkunft gerecht. Hier treffen Sie auf grosszügige, sonnige Zimmer, alle mit Balkon, Lift in alle Stockwerke sowie Tiefgarage (kostenpflichtig). Die Zimmer sind freundlich und funktional eingerichtet. Einbauküche, Minibar und die übrige technische Infrastruktur lassen keine Wünsche mehr offen. Selbstverständlich verfügen Sie im gesamten Hotel über eine kostenfreie WLAN-Verbindung. Die Zimmer stehen am Anreisetag ab 15.00 Uhr und am Abreisetag bis 11.00 Uhr zur Verfügung. Wir verfügen über einen Self Check In Automaten in der Lobby, 24h Check In möglich. Die Haupteingangstür lässt sich mittels Codeeingabe öffnen. Das Hotel Residence Loren befindet sich in der nach einem städtebaulichen Konzept erstellten Gewerbe- und Wohnzone in Uster. Die Stadt Zürich sowie der Flughafen Zürich liegen nur 20 km entfernt und sind mit dem Auto und den öffentlichen Verkehrsmitteln sehr gut erreichbar. House Rules Hotel Residence Loren takes special requests – add in the next step! All children under 16 years are charged CHF 25 per night for extra beds. Hotel Residence Loren accepts these cards and reserves the right to temporarily hold an amount prior to arrival. Please note that outside reception opening hours, a self-check-in machine is available. Payment is done at the machine by credit card or debit card. You will then receive your room card. The entrance door can be opened with a code which will be provided to you by the hotel in advance. All rooms feature a kitchenette, which can be used at an additional cost. Please inform the hotel in advance if you wish to use it. The neighbourhood is slightly industrial but if you are travelling by car and don't want to pay over the top for a city hotel, this is a great choice. It's clean, modern and convenient. Wall surfaces industrial style - concrete painted in white. Payment options. The EUR exchange rate is 1.00. If you come from EU or Serbia, change currency at home. The exchange rate is much better. Read the instructions carefully. If you don't have the credit card, you might not be able to enter your room. A few small amenities would make the apartment much more comfortable - like a water boiler to make tea, and a coffee maker - the flat has neither of these. There is a stove, but no pots, so that seems, well, pointless. Reception has very limited hours so a self-check-in machine is used for after-hours arrivals. The check-in process is impersonal because there is no staff late evening or nights. You have to enter a code and then check-in on a touch-panel to get the room key-card. For non-business suite travelers it is a trying experience. The rooms have really no decoration, unless you feel bare concrete walls are warm and comforting. The trains run so close you can feel each one go by. Room smelled strange. No way to get the mock out when opening the window. How shower was repaired. Train is noisy. Easy check in. Balcony! Large rooms. We booked a deal of the day room with a kitchenette, safe , mini bar & balcony, but didnt get any of these facilities. We were not given what we paid for. When we questioned it at reception we were told the manager would email us. We booked one night travelling from Australia...really poor to advertise a discounted room as a deal then charge the same but give us nothing like it. No email was forthcoming, no explanation. The only issue we had was the cooling system did not keep the apart ent as cool as we would have liked. Apartment was spacious and well equipped.